Merseyside’s largest arts and crafts market, the Winter Arts Market will return for an eighth year on Saturday 3 December 2016. Staged this year in the breathtaking surroundings of Grade I-listed Liverpool Cathedral the market will see this awe-inspiring space, one of the most beautiful in the city, transformed into a bustling independent shopping experience that’s the perfect place to pick up unique Christmas gifts. The Winter Arts Market will feature work from more than 200 of the region’s best artists, designers and makers with everything you can imagine for sale – from paintings and jewellery to screen-prints, Christmas decorations, cards, photography, homewares, glassware, textiles and handmade beauty products. There will also be a vintage fair downstairs in the Cathedral’s Concert Room offering shoppers a range of vintage clothing, bags, jewellery and homewares along with a food fair offering everything from homemade jams and chutneys to handcrafted chocolates and unique blended teas. Visitors will be able to take a break from shopping to enjoy delicious homemade food and drinks in the Cathedral’s Welsford Café and KECS Creative’s Super Silly Scientists will be on hand to keep little ones and the young at heart alike busy with a festive crafting workshop from 11am – 4pm. 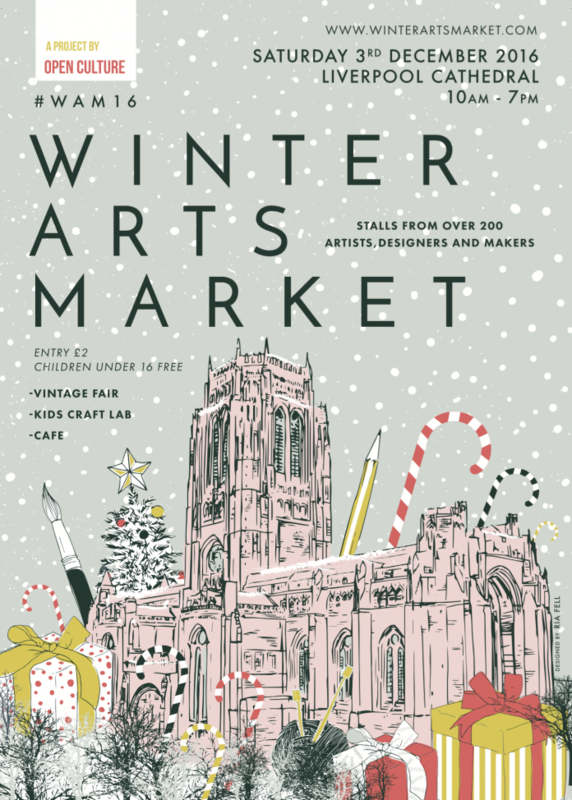 The Winter Arts Market is organised by Liverpool social enterprise Open Culture, who have staged the event annually since 2009. The market aims to provide the public with a chance to purchase affordable, unique work directly from artists and makers; helping to support independent businesses in the creative economy and keeping money local.